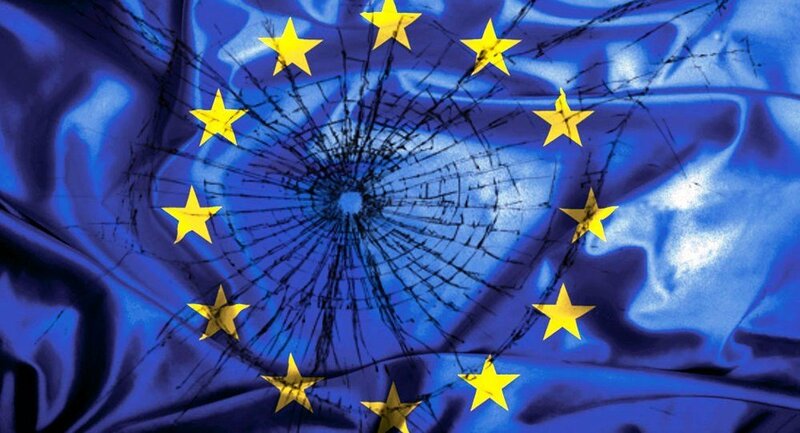 After Fragmentation: The Constitution of a Core European Citizenry? Everywhere you look, Europe seems to be at a turning point. The prospect of complete withdrawal of an EU Member State (‘Brexit’) is only the most dramatic instance of a general trend of fragmentation in European integration. For the first time in the history of the Union, every national of a Member State may lose their rights and status as EU citizens. I would like to propose that the prospect of such fragmentation means that we should now consider whether a more radical overhaul of the European project is necessary. If the UK government adheres to its commitment to trigger Article 50 in March 2017, then the clock will start ticking on finding solutions for individuals. It appears increasingly unlikely, however, that the fraught negotiating relationship between the United Kingdom and the EU will result in a satisfactory protection of rights and status for individual citizens. Consequently, barring re-accession, I would argue that the only way to preserve the benefits of the EU legal and political order for UK nationals is the constitution of a core European citizenry. This would change EU citizenship from being passively acquired with Member State nationality to an active choice of participation. Such a constitutive moment would not only protect the rights and status of EU citizens from current fragmentation, but insulate them from the negative consequences of future fragmentation. Beyond Brexit and fragmentation, the disconnection of citizenship from Member State nationality has the potential to finally create the elusive ‘demos’ of Europe through individuals coming together to construct a true constitutional polity. In its simplest terms, the idea is a reframing of the existing conception of creating a ‘Core Europe’ of ‘more integrationist’ states that act as a vanguard of integration. However, rather than states, the constituent subjects of this core Europe would be individual citizens. The idea that there are states that are more ‘integrationist’ or less ‘integrationist’ is reductive: instead, attitudes to European integration will vary between each member of a national polity due to numerous separate but interrelated factors. The 52% who voted to leave in the United Kingdom as opposed to the 48% who voted to remain is testament to this. Regardless of the internal democratic legitimacy of a vote to leave the European Union, the fact remains that this seismic decision leads to the loss of rights of free movement, residence, employment and access to social benefits that individuals rely on in order to pursue their life plans in the territory of the European Union. Consequently, I submit that those European individuals who were granted the embryonic status of ‘EU citizenship’ with the Treaty of Maastricht, and who rely on this status and these rights for their pursuit of fulfilment throughout the European Union’s territory, should be given the choice to establish themselves in a real European constitutional polity. But it should be stressed that this is not a call for a federal United States of Europe. National citizenship would still exist, with acquisition of EU citizenship operating in the same way as ‘dual’ citizenship of states. Indeed, I would even argue that the creation of such a European citizenry could accommodate the concerns of the ‘Eurosceptics’ who rally against the imposition of the EU in national law and politics by finally providing a clear demarcation of competences and individual subjects. Although these individuals may not want to be EU citizens, in the same way that the state-centric idea of Core Europe is that certain states push ahead with integration in the expectation that others will follow, the choice to become an EU citizen should also remain open to all Member State nationals. By making the deliberate choice to ‘become’ a European citizen, individuals would constitute themselves into a form of floating polity that is not tethered to state territory, but to particular values and societal ideals. Perhaps most importantly such a constitutional moment would not only serve the backwards-looking purpose of protecting individuals from fragmentation by insulating the status and rights that have already been achieved in the European Union. It would also serve a forward-looking purpose by enabling European citizens to come together and decide the shape of their European social, economic, political, and personal community space. In a time of seemingly constant crisis and the consequent perception that the Union does not take social rights seriously, this could enable the creation of new social welfare mechanisms that are more responsive to the needs of citizens. Extending the boundaries beyond existing EU citizens, in theory the disconnection of EU citizenship being predicated on nationality of a Member State would and should allow citizens of countries outside of the European Union (‘Third Country Nationals’) to become EU citizens. Such reforms would indeed be radical. However, it should be stressed that this proposal does not necessarily entail a constitutional ‘revolution’. The status of citizenship already exists, and therefore the disconnection from Member State nationality is more akin to evolution. Indeed, the terminology of devolution may be even more appropriate: the constitution of the Core European Citizenry would entail shifting the perspective of the European Union’s core legal and political order down from the grand politics of inter-state relations and back to the ‘everyday’ level of relations between individuals in their societies and communities. I would tentatively submit that such a reset for the European project is the only way to vindicate the Union’s repeated yet unfulfilled calls to bring the EU closer to its citizens. When I first started considering this idea in pre-emption of Brexit in my PhD proposal in January 2016, I believed it was closer to utopian fantasy than reality. However, even before the United Kingdom’s withdrawal, the population’s vote to leave on 23 June has arguably changed the rules of the game. The apparently locked doorway to a true European constitutional polity now seems to have opened slightly. Cracks of light are evident, such as the proposal in the European Parliament to offer ‘associate citizenship’ to nationals of a former Member State. I would not claim that any one person can offer all the answers to the complex problem of fragmentation. Instead, what I hope to propose is that we should now at least consider the potential for such radical overhaul of the European project, as opposed to piecemeal and incremental solutions to symptoms which do not address the underlying malaise. From the ashes of Brexit’s fragmentation in the scope of the legal order, the phoenix of a true constitutional polity may arise. This post distills an argument made in the EUI Law Department Working Paper ‘After Brexit: Protecting European Citizens and Citizenship from Fragmentation’ published on the SSRN. *Re-posted with the kind permission of the author from verfassungsblog.de. SUGGESTED CITATION: Garner, Oliver: After Fragmentation: The Constitution of a Core European Citizenry?, VerfBlog, 2016/12/02, http://verfassungsblog.de/after-fragmentation-the-constitution-of-a-core-european-citizenry/.